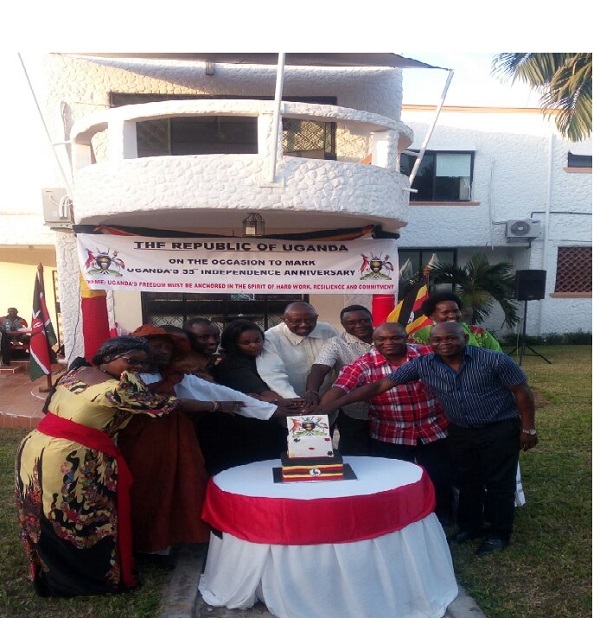 Ambassador Katureebe Tayebwa, Consul General of the Consulate of the Republic of Uganda in Mombasa hosted celebrations to mark Uganda's 55th Independence Anniversary on Saturday 21st October at the Chancery. This was the second time the Consulate was holding Independence celebrations since the Mission was established in Mombasa in 2015. The first event was the official launch of the Consulate which coincided with the Independence Day celebrations that was held last year on 15th October 2016.